Mojo Monday is a weekly card sketch challenge created by Julee Tilman. The challenge started on her personal blog, Poetic Artistry, in 2007. At the beginning of 2009, the challenge moved here to its own blog and added a design team full of talented stampers. Intended as a way to inspire you to get creative each week, Julee posts a new sketch every Monday, designed either by herself or a member of the Mojo Monday design team. You're invited to play along and make a card or any crafty thing using the sketch, then post it online somewhere and link it up so we all can enjoy! You don't have to have a blog to play, there are many online galleries like Splitcoaststampers, FlickR and Photobucket that allow you to post your cards online for free. Wherever you have your card posted, just navigate to it, copy the URL in the address bar and enter it in the linky form. Mojo challenges are open to anyone, and you're free to use stamps and supplies from any company. The challenges are meant to be fun and inspire you to keep challenging yourself creatively. We don't post measurements because we want to allow you the most creative freedom. Feel free to substitute shapes or change sizes to accommodate your stamped images. Most weeks we're just playing for fun, but once a month we have a Mojo Madness Contest. We do not provide exact dimensions for the Mojo Sketches because we want you to feel the creative freedom to interpret the sketch as needed to fit the images and sentiments you are using. We hope you have fun and use the sketch as inspiration to challenge yourself creatively. 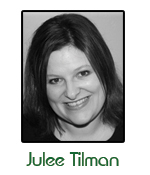 Julee is also the illustrator and owner of Verve Stamps, and Verve sponsors a Mojo Madness contest on the first Monday of each month with prizes for the top winners. To be eligible, you must enter a link to your creation using the linky form for that week by the posted deadline. Our linky widgets close each Sunday night at 8pm Mountain. Mojo Monday Contest entries are selected by random draw from each pool of 50 entries. Winners are posted the Wednesday following the close of the challenge (typically the second Wednesday of each month). Click here for past winners announcements.